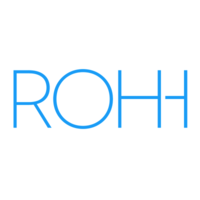 ROHH is an independent web design and type design studio. It was founded by Roch Modrzejewski - designer and artist located in one of the most beautiful cities of Europe, the city of Krakow, southern Poland. Roch Modrzejewski has accomplished his artistic education in Poland, Germany and Switzerland. The priority of ROHH type foundry is to deliver complete, professional and multi-language typefaces in diverse styles, both for print and digital use.